PENSACOLA – Four of the greatest athletes ever to call northwest Florida home will join a true baseball superstar, the longtime voice of the Florida Gators and a long-ago football legend to make up the 2018 Class of inductees to the Florida Sports Hall of Fame. The class was announced today at the Andrews Institute for Orthopaedics and Sports Medicine, the presenting partner for the for 2018 Enshrinement. Elected to the Hall were five-time Olympic Medalist sprinter Justin Gatlin, the 30-year broadcasting voice of the Florida Gators Mick Hubert, Roy Jones, Jr., considered one of the greatest boxers of all-time, U.S. Amateur and U.S. Open Champion golfer Jerry Pate, a nine-time major league all-star and former Player of the Year Gary Sheffield and Michelle Snow, former Miss Basketball and state champion in Florida whom many consider the top women’s player from the state. Also, a college and pro football hall of famer from the 1940s, Pete Pihos of Orlando, will be inducted posthumously. These seven individuals will be enshrined into the Florida Sports Hall of Fame on November 7 in the first-ever induction ceremony to be held in Pensacola, making the occasion truly historic. The Florida Sports Hall of Fame is a 57-year-old organization with 253 members who have been inducted representing dozens of different sports and disciplines. This year’s Enshrinement will be held at the National Naval Aviation Museum, located at Naval Air Station Pensacola, the home of the world-famous Blue Angels. Added to the fanfare of this year’s Enshrinement is the presentation of a “Lifetime Achievement Award” being presented to longtime Florida State University assistant football coach Mickey Andrews. Andrews served as defensive coordinator under the legendary Bobby Bowden for 26 seasons and contributed greatly to two national championship teams at FSU. During his stellar career, Andrews became a frequent visitor to northwest Florida and although he coached and played in nearby Alabama before coming to FSU, the affable coach is considered a favorite son across the Florida panhandle. A native of Pensacola, Justin Gatlin attended Woodham High School in Pensacola before earning a track scholarship at the University of Tennessee. At UT, Gatlin was converted from a hurdler to a sprint specialist. 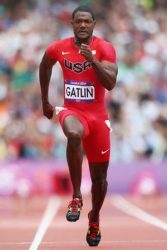 In two seasons of competition, Gatlin would win six NCAA individual titles in various sprint events before turning pro. In 2004, Gatlin earned the title “World’s Fastest Man” when he took the Gold Medal in the 100-meter dash at the Summer Olympics in Athens, Greece. During his career, he won medals in 17 different Olympic and World Championship events. To the shock of many, Gatlin won the 2017 World Championship in the 100 meters, defeating teammate Christian Coleman (silver) and Usain Bolt (bronze) in a time of 9.92 seconds. On May 12, 2006, Gatlin equaled the World Record in the 100 meters with a 9.77 time during a meet in Doha, Qatar. Gatlin won the ESPY as Best Track and Field Athlete in 2006. He was enshrined into the Florida Sports Hall of Fame on Nov. 7, 2018. Oh my! 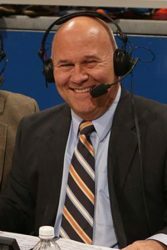 Nothing represents University of Florida Gator sports better than its affable longtime play-by-play announcer Mick Hubert. Travel the byways of the state of Florida on any Saturday and you’ll hear Mick’s familiar voice up and down your radio dial. A graduate of Illinois State University, Mick has long served as the voice of University of Florida Athletics. In his storied career, Mick has been behind the mike for some of the biggest moments in Florida Gator Sports history, including the school’s three national championships in football, two NCAA championships in basketball and the Gators victory in the 2017 College World Series victory in Omaha. Prior to his arrival in Gainesville, Hubert served as sports director of WHIO-TV in Dayton, Ohio where he was also the play-by-play man for Dayton Athletics. He also called NCAA Basketball Tournament games for ESPN from 1986 until 1990. Mick was enshrined into the Florida Sports Hall of Fame on Nov. 7, 2018. A native of Pensacola, Jones Jr. has spent most of his entire life in the boxing ring. As an amateur, he won the 1984 Junior Olympics at 119 pounds and was the National Golden Gloves champion at 139 pounds in 1986 and at 156 pounds in 1987. Often considered to be one of the greatest boxers of all-time and a candidate as one of the top pound for pound fighters of his generation, Roy Jones, Jr. cemented his place in boxing lore by becoming the first middleweight champion in 106 years to win a heavyweight title when he took the WBA Heavyweight belt in 2003. He was inducted into the Florida Sports Hall of Fame on Nov. 7, 2018. Although born in Macon, Ga., golfer Jerry Pate has always called Pensacola his home, having grown up in the city from an early age. Pate attended the University of Alabama, where he earned All-America honors in both 1974 and 1975. 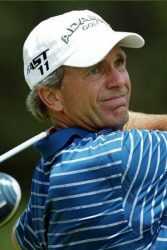 His amateur accomplishments included winning the 1974 US Amateur and he was also a member on the winning USA team for both Eisenhower and Walker Cup competitions. Pate concluded his amateur career by tying Jay Haas as low amateur at the 1975 US Open. Jerry would turn pro that same year and would embark on a remarkable PGA career that included eight tour victories. His career highlights include winning the 1976 US Open as a rookie. He also won the 1982 Players Championship at Ponte Vedra, after which he completed perhaps the Tour’s most memorable celebration by throwing PGA Tour Commissioner Dean Beman and golf course architect Pete Dye into the lake beside the 18th green before diving in himself. Other high major finishes included a third place finish in the Masters in 1983 and a second place finish in the 1978 PGA Championship. Joining the Champions Tour at Age 50, Jerry won twice on that circuit and has 15 professional victories World Wide. Jerry was enshrined into the Florida Sports Hall of Fame on Nov. 7, 2018. Born in Orlando, Florida on Oct. 22, 1923, Pete Pihos Pihos played college football, principally as an end and fullback, for Indiana University from 1942 to 1943 and 1945 to 1946. His collegiate career was interrupted by World War II, when Pihos was drafted into the United States Army in January 1944. He served in the 35th Infantry Division under George S. Patton. Commissioned as a second lieutenant on the battlefield, he was awarded the Bronze Star and Silver Star medals for bravery. Upon his return to Indiana, Pihos would earn All-America honors and lead the Hoosiers to its only undefeated season in school history and its first conference championship. Following graduation, Pihos was drafted by the Philadelphia Eagles. He would go on to play nine seasons, where he would play in six pro bowls and earn first team All-Pro honors six times. 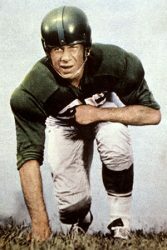 Pihos would also help lead the Eagles to back-to-back NFL Championships in 1948-49. A member of the Pro Football Hall of Fame, the College Football Hall of Fame and the Indiana Hall of Fame, Pihos was inducted posthumously into the Florida Sports Hall of Fame on Nov. 7, 2018. Pete passed away in Winston Salem, NC on Aug. 16, 2011. The nephew of former Major League all-star Dwight Gooden, Gary Sheffield grew up in the Belmont Heights area of Tampa. As a youngster, Gary would lead Belmont Heights to a United States Championship and an eventual second place finish at the Little League World Series. Playing for Hillsborough High School, he would go on to earn Gatorade National Player of the Year in baseball his senior season. Drafted in the first round (6th overall) by the Milwaukee Brewers in 1986, Sheffield would go on to enjoy a spectacular playing career that spanned 22 seasons with eight different teams. His career totals included 509 home runs, 1,652 RBI and 253 stolen bases. He was a nine-time All-Star, won five Silver Slugger Awards as the top hitter at his position and was the 1992 National League batting champion. 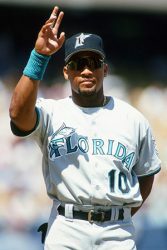 As a member of the Florida Marlins, Sheffield helped that team to a World Series championship in 1997 and was the Sporting News Player of the Year in 1992. He was inducted into the Florida Sports Hall of Fame on Nov. 7, 2018. Often considered the best women’s basketball player from the state of Florida, Michelle Snow grew up in Pensacola and attended Woodham High School – where she earned All-America honors and was the Florida Dairy Farmers’ Miss Basketball in 1998. Snow would go on to play four years at Tennessee under legendary coach Pat Summitt, where she helped the Vols to four SEC Championships and a pair of final four appearances. She would be drafted in the first round of the WNBA Draft (10th overall) and go on to a 13 year professional career. 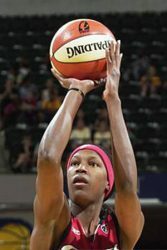 Selected the WNBA’s Most Improved Player, Snow was two-time WNBA All-Star, represented her country in international competition and also played professionally in Europe. She was enshrined in the Florida Sports Hall of Fame on Nov. 7, 2018. In its 57th year of honoring the state’s brightest sports figures, the Florida Sports Hall of Fame continues its mission to honor Florida’s vast sports heritage by taking the inspiring stories of its 253 current members to the people of the state. This outreach is the hallmark of the modern-day Florida Sports Hall of Fame. The Hall recently opened a state-of-the-art museum and preview center for memorabilia provided by its members located directly in the center of the state. But today’s Hall of Fame is about more than brick and mortar. With its “Fame for Kids” initiative, the Florida Sports Hall of Fame has embarked on a journey to take its message across the state of Florida to raise money and awareness for causes that affect our youth. Categories: Current, News. Save This Post.